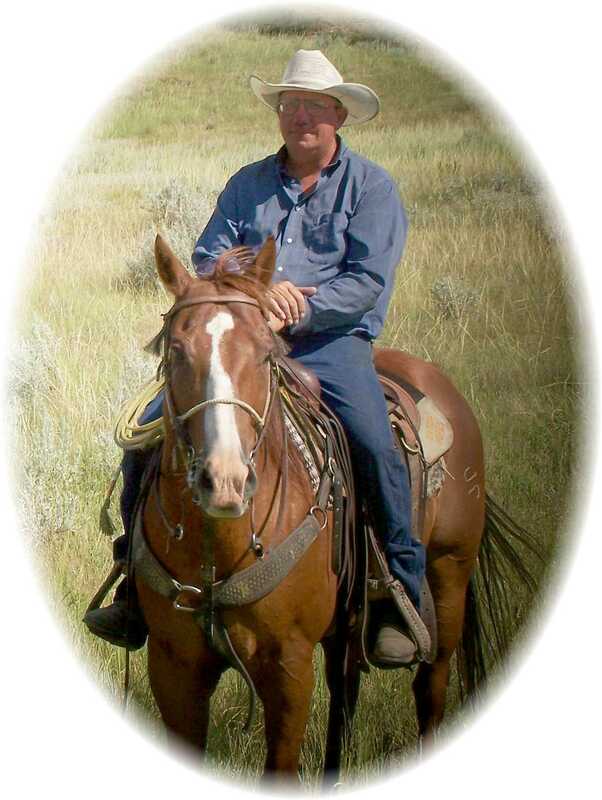 Monte Guy Mallett, age 57, of Powderville, Montana passed away on Tuesday, March 26, 2019 at his home. Monte was born September 17, 1961 in Miles City, Montana to James and Mary (Keil) Mallett. He was their only son. Monte started his education at Hunt School, taught by his favorite teacher Mrs. Orestad. He went to Custer County High School, graduating in 1979, while in school he stayed with his grandparents Allen & Marge Mallett. Monte worked at the Miles City Livestock Center all 4 years of high school and made all of his own spending money. He wasn’t afraid of a days work. Monte attended Powell & Glendive Community College, enjoying Rodeo and Team roping with his buddies. He married Sonya Hager July 26, 1986 in his grandparent’s backyard in Miles City. They moved to Miles City where Monte worked construction for his good friend Jerry Askin. They then moved to Billings to work in a feedlot, while there, Monte enjoyed traveling the country team roping, where he had many great partners and made a lot of great friends. Monte returned to home the ranch in 2001 after the passing of his father. Along with his sister Tammy and her husband Michael they built a fantastic set of Angus cows, Monte’s pride and joy, and had the ranch free and clear of debt. Monte is survived by his wife of 32 years Sonya, sister and brother-in-law Tammy & Mike Pecha, Aunt Jean, sister Jane Piercy, nieces Skye & Paige and their children, various cousins and his constant companion and best friend his dog Missy. Visitation will be held on Monday, April 8, 2019 with family receiving friends from 4:00-6:00 p.m. Funeral services will be held on Tuesday, April 9, 2019 at 1:00 p.m. at the Assembly of God Church in Miles City. Interment will follow in the family lot of the Custer County Cemetery. Condolences may be sent to the family by visiting: www.stevensonandsons.com. Should friends desire, donations may be made to St Jude’s Children’s Hospital. I am devastated by the passing of my beloved nephew. Rest in peace dearest Monte. Much love to Tammy, Sonya, Mike and all of our family. One of the nicest mem i have ever had the pleasure of knowing and calling a friend. Rest in peace Monte. Mourning the sweetest most sincere & genuine, best friend and neighbor we ever had. He will be missed by all. May Gods peace be with you Sonja, Tammy & Mike, as you go through this time of great grief. I am so very sorry for your loss. My thoughts are with you and all of Monte’s friends. He will be missed. So sorry for your loss. Monte was one of the best and I’m really going to miss seeing him at the mailbox as i know everyone who knew him will miss him. My thoughts and Prayers are with you all! Spent many hours chute side for a lot of years. I have been blessed to have known him. Our prayers are with you all. My condolences to Monte’s friends and the, he was such a nice person! Keep your memories close to your heart! I am so sorry for your loss. Know that you are in my prayers. So sorry for your loss Monte was a very good friend he will be missed by one and all. So many good memories of Monte. Such a kind and good man. Prayers to all. We are so sad to hear about Monte. He was a great guy and we always enjoyed visiting with him. He and Mike were good buddies through high school and he was part of our wedding. Our thoughts and prayer’s are with your families. Sorry for the loss of Monte. This is so tragic. Monte is my second cousin whom I have not seen since he was a little boy but have kept track of him through his Aunt Jeannie. His untimely death is a terrible shock. My heart goes out to his family. It is wonderful to know that he was such a kind , good man and so well thought of. He will long be remembered and missed. My fondest memory of Monte goes back to when I was a kid. Monte would ride home with my dad and us kids during lunch time from school. Monte would always say to my Dad, “Tromp on it Fretland. Tromp on it!” This meaning that he wanted my dad to drive faster, so he could get to his grandparents house for lunch. We’re so sorry for your loss. You have our deepest condolences. What a shock to hear of Monte’s passing. He was a great friend and neighbor , with a wonderful sense of humor. We will miss him and are blessed to have known him. Our sincere sympathy to Sonia, Tammy and Mike, and all his family. God be with you in this time of grief. We were so saddened to hear this. Thoughts and prayers for the family. Sending our sincere symphony to all of the Mallett family . Chris and I are so sorry to hear of Monte’s passing, such a great guy. Our condolences to all his family, you are in our prayers. I’m deeply saddened to learn of Monte’s passing. Even tho we are a couple of “cousins” removed (his dad and my mom were 1st cousins), I have good memories of being on the ranch as a youngster. The last time I was there and visited with Monte, Tammy and family was summer of 1976 helping our Great Uncle Tom Mallett move from Florida to Oregon. Prayers and blessings to the family during this difficult time. Prayers and love to all. We have a lot of good memories through the years (roping, fried chicken, cards, and many good visits. Monty was such a gentleman. Duane said he first met him at Cohagen,. Mt. We were blessed to know him and call him our friend. Many fond memories of years gone by! Monte would come down and ride across the river with us kids to rope at the Miles’. I remember he got me to do the silly game at a rodeo where the guy ropes the calf and the girl has to grab the ribbon off the tail and run for the chutes. I fell flat on my face. I told him I would never do THAT again! RIP Monte! So sorry to hear about Monte. So sorry for your loss. Sorry to hear about Monte passing away Thoughts and prayers for you all. So sad to hear about Monte passing. I have such fond memories of him when we went to Northwest Community College together. He was always so much fun but also so caring when you were having a bad day! Rest in peace dear Monte. Your family and friends are in my thoughts and prayers. Sonya, I am so sorry to hear of the passing of Monte. It has been many years since I have seen him but I have such fond memories of Monte from when we went to Northwest Community College together in Powell. We had such a blast at the college rodeos. He was so funny but he was also a great man who when you were needing to be cheered up he was there and was a shoulder to cry on when you needed that. Rest in peace dear man! My thoughts and prayers are with your family and friends. Of course we will miss you, and sorrow after you are long gone. But what fun it was to talk to you in person and on the phone. Thanks for your friendship over the years. Now you can ride your horse in a special place. Monte Guy, I know I am the only one who calls you that, I am going to miss you so much. I cannot imagine never seeing you again. You and I could always kid/tease each other and love every minute of it. As a “young Monte” you would terrorize your “town” cousins. Still, you grew up to be a gentleman, a friend to all who know and love you, a good neighbor; a man that Grandpa and your Dad would have been proud of. You are a quiet man, loved by many. Sonya, we did not have too many times to get to know you, but you are/were special for Monte. I am sorry for your loss. Mike, loss of Monte will be a hard sorrowful loss of your friend and partner. I am so sorry. Tammy, you and Monte have been a team since he was born. My heart aches for your loss. Monty was “something else”… your brother, your partner but mostly the one person who knows you the best. There is a huge void to fill. Know that I am here for you at any time day or night. Michael and I are available to help out at the ranch whenever you need us. Please don’t forget to ask. Michael, Katie, Christina and I love you all very much. I am so sorry for your loss. My thoughts and prayers are with your family. So sorry to haer this. He always had time to stop & visit. Such a nice guy. My condolences to you all. So sorry to hear this. He always had time to stop & visit. Such a nice guy. My condolences to you all. Monte was the “gentle” in gentleman and a quintessential kind and generous soul. He was so like our grandfather, who we adored, as we did him. The Diamond A will not be the same without him. Jan and I will definitely miss having him help us out with all of our flat tires on the Powderville Road and won’t have a dry eye next time we have one. We are heart-broken and grieve deeply for Tammy, Sonja and Mike in the loss of a dear brother, husband and wonderful brother-in-law and ranch partner, and for our family in the loss of a loving and lovable cousin and nephew. Rexie and I extend our deepest sympathies. I AM VERY SAD TO HEAR ABOUT MY COUSIN MONTE. I AM SORRY FOR YOUR LOSS. MY THOUGHTS AND PRAYERS ARE WITH FAMILY AND FRIENDS. Monte, was one of my closest friends, I will surely miss our Sunday evening conversations we had, he could always put a smile on your face, even if you were having a bad day, we all have lost a true friend, but heaven has gained a angle. Rest in peace my good friend, we will meet again. Monte my biggest coach and cheerleader when I was learning to ride broncs. He will always be in my memories. God Speed Cowboy! I’m saddened to learn of Monte’s passing. My condolences to his family. I wish you peace and comfort in this trying time. Rest In Peace, Monte. He was a hand. One of those you could not cross paths with for awile and pick up just where you left off. Proud to have known him. PS Danny, it’s angel, not angle. I will so miss you my friend. Will meet again some day in heaven and rope again. I remember when Monty and his sister were the only students at the Hunt School. I was county superintendent. Nice kids as was their teacher, Helen. Sorry for your loss. Our hearts are heavy, so sad when we heard the terrible news. May God comfort Sonja and the rest of the famiky! Rest In Peace Cowboy. Levi and I remember you fondly. Condolences to family and friends. It is so hard to carry on without those who should still be with us. I believe he will be an amazing angel watching over the cowboy and ranching world. I have great memories of roping with Monte and his friendly conversations. I am so sorry for your loss. We coached Monte while he was at Dawson. Still holding on to fond memories. Condolences to his family. So sorry for your loss, Monte was as nice a person as you could ever meet. Sonya, we are so sorry to learn of Monte’s passing! Our thoughts and prayers are with you and the rest of the family! Monte was one of the friendliest, sincere people I have had the pleasure of knowing. My prayers to the family. I just heard about the untimely passing of Monte. He was a true gentleman, a very good rancher, a nice guy and a friend. I extend my sincere condolences to Monte’s family and friends. So sad to hear about Monte. We both have fond memories of him. Sending our prayers and love to Sonya and family. Sending condolences to Sonya and his family. Sure sad to hear of his passing. It seems like a lifetime age when Monte, Sonja, Val, and I spent so much time together. Even though we drifted apart Val and I will always cherish those times and the friendship we had. So sorry for your loss. We have a lot of great memories roping together. Sonie – my thoughts and prayers are with you. Know that your friends here at ELI are thinking of you and praying for your healing in the days to come.